Today, it is uninhabitable and lifeless, but in its earliest days, the Moon might have been home to life, thanks to a perfect mix of water and atmosphere. The study, published on July 23, 2018, is led by Dirk Schulze-Makuch, an astrobiologist at Washington State University, and Ian Crawford, a professor of planetary science and astrobiology at the University of London. 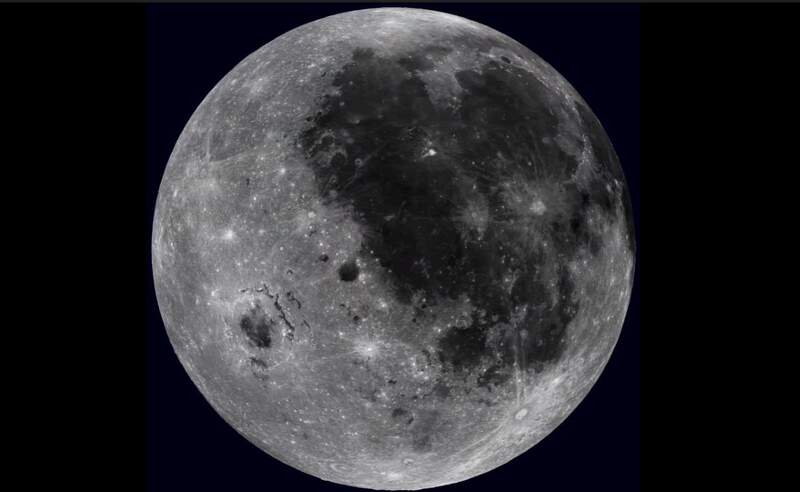 Researchers “speculatively” identified two possible windows for lunar habitability. 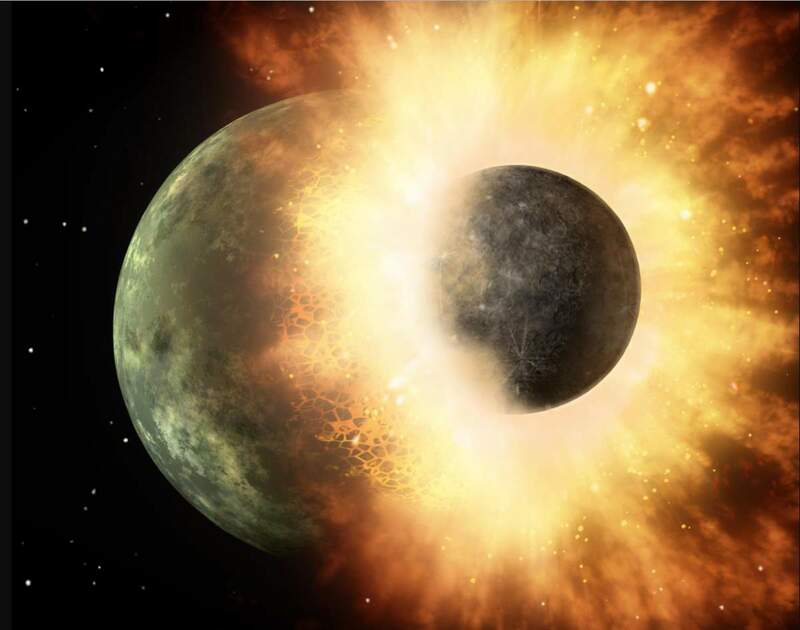 These may have occurred shortly after the formation of the Moon and some hundreds of millions of years later following outgassing associated with a lunar volcanic activity. The first habitability window was shortly after the Moon’s formation, around four billion years ago. Current understanding is that the Moon originated from a gigantic impact 4.5 billion years ago, which is known as the “Giant-impact hypothesis”. Sometimes called the Big Splash, or the Theia Impact, the Giant-impact hypothesis suggests that the Moon formed out of the debris left over from a collision between Earth (or a proto-Earth) and an astronomical body the size of Mars, approximately 4.5 billion years ago, in the Hadean eon; about 20 to 100 million years after the solar system coalesced. The second window was 3.5 billion years ago and was caused by lunar volcanic activity. During both periods, the Moon was spewing out large quantities of super-heated gases from its interior, which includes water vapor. According to the study, this outgassing could have formed pools of liquid water on the lunar surface and an atmosphere dense enough(Notes 1) to keep that liquid water there for millions of years. These conditions, combined with the theory of a magnetic field around the early Moon, could make the lunar surface a suitable breeding ground for microorganisms. These findings are based on data from recent space missions as well as sensitive analyses of lunar rock and soil samples. Life on the Moon, if ever existed, could have originated much as it did on Earth but the more likely scenario is that it would have been brought in by a meteorite, Schulze-Makuch said. During the early years of its formation, the solar system was dominated by frequent and giant meteorite impacts. According to researchers, it is possible that meteorites containing simple organisms like cyanobacteria could have been blasted off the surface of the Earth and landed on the Moon. Lunar scientists had discussed the possibility of water repositories for decades. But today, we are almost sure that it has water in all sorts of places; not just locked up in minerals, but scattered throughout the broken-up surface, and, potentially, in blocks or sheets of ice at depth. On 18 November 2008, the Moon Impact probe was released from India’s Chandrayaan-1 at a height of 100 kilometers (62 mi). During its 25-minute descent, the impact probe’s Chandra’s Altitudinal Composition (CHACE) recorded evidence of water in 650 mass spectra gathered in the thin atmosphere above the Moon’s surface. In September 2009, NASA payload Moon Mineralogy Mapper onboard Chandrayaan-1 detected water on the Moon surface and hydroxyl absorption lines in reflected sunlight. In November 2009, NASA re-confirmed water on the moon with its LCROSS space probe which detected a significant amount of hydroxyl group in the material thrown up from a south polar crater by an impactor; this may be attributed to water-bearing materials – what appears to be “near pure crystalline water-ice”. In March 2010, it was reported that the Mini-SAR onboard Chandrayaan-1 had discovered more than 40 permanently darkened craters near the Moon’s north pole that are hypothesized to contain an estimated 600 million metric tonnes (1.3 trillion pounds) of water-ice. Water may have been delivered to the Moon over geological timescales by the regular bombardment of water-bearing comets, asteroids, and meteoroids or continuously produced in situ by the hydrogen ions (protons) of the solar wind impacting oxygen-bearing minerals. According to researchers, during these outgassing periods, the Moon would have had an atmospheric pressure of 10 millibars or just 1 percent of the Earth’s atmosphere. But it is still more than the pressure on Mars, and enough to cause water to pool on the lunar surface. Chandrayaan-1 (means literally “Moon vehicle” in English) was India’s first lunar probe. It was launched by the Indian Space Research Organisation in October 2008 and operated until August 2009. The mission included a lunar orbiter and an impactor.